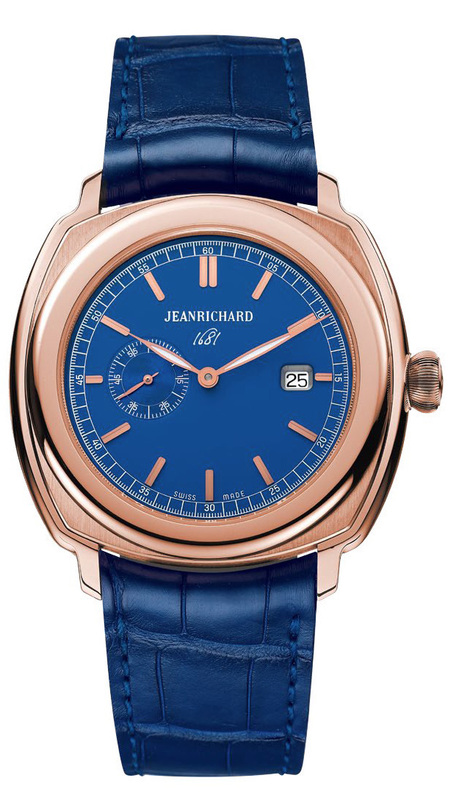 One of the stars of Baselworld as far as JeanRichard is concerned is the bright blue and new cushion shaped 1681 watch. 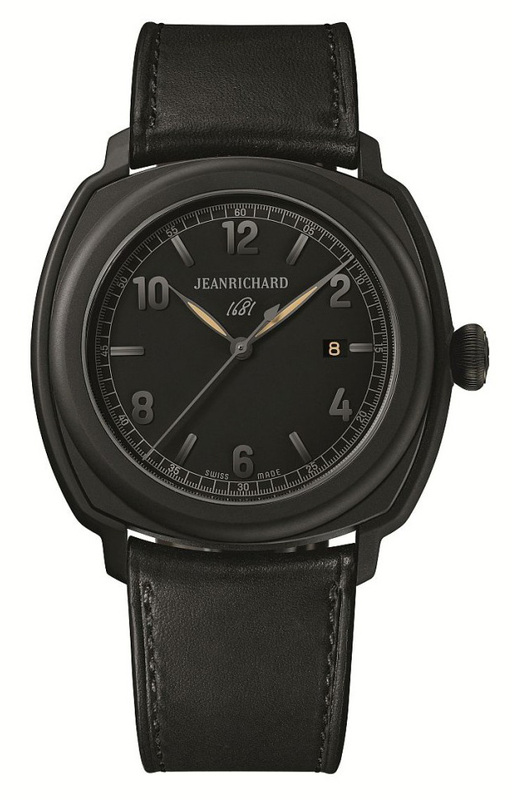 1681 relates to the founder, JeanRichard who created the first JeanRichard watch way back in 1681, long before Baselworld was hosting the watch Olympics. The 1681 has a contemporary geometrical design with a bright and immediately eye catching shade of blue. It’s been described by the brand as the blue of a perfect cloudless sky encouraging its wearer to live life to the full. 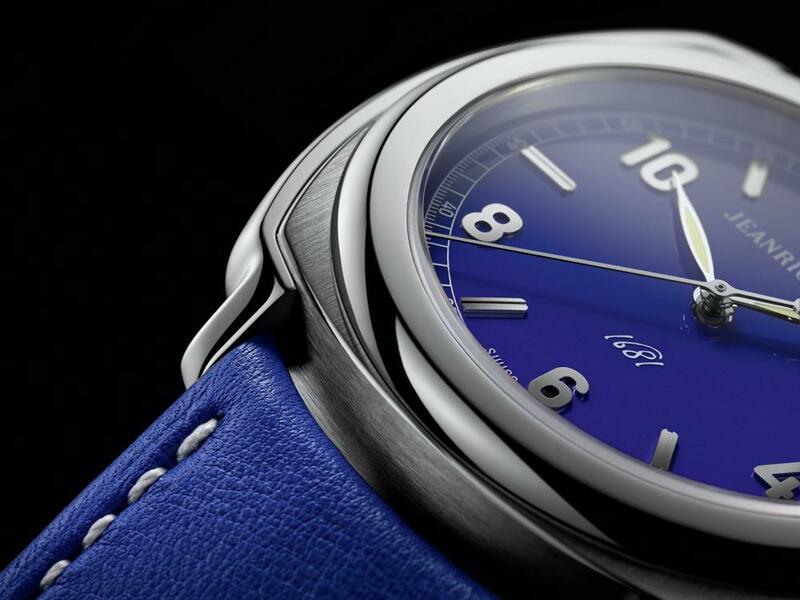 The 1681 Blue model comes in two versions. One model comes with a steel case, with its large seconds hand on a blue dial with a matching Barenia calfskin strap, fitted with a folding clasp. 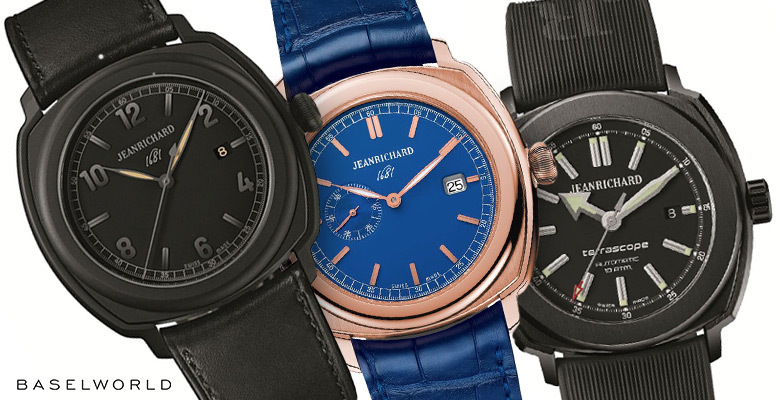 The other model has a case of pink gold with a small-second sub dial at 9 o’clock on the blue dial, pitched against a blue alligator-skin strap. The case has been designed in such a way that the polished satin finishes can be seen to alternate and thereby give an extra sheen that catches the light. The self-winding JR1000 Manufacture movement and its originally decorated rotor are visible through a transparent case back. 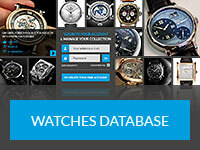 The appearance at Baselworld this year marks only the second appearance of the brand at the event. As a sister brand to Girard-Perregaux both companies departed from SIHH in 2012. 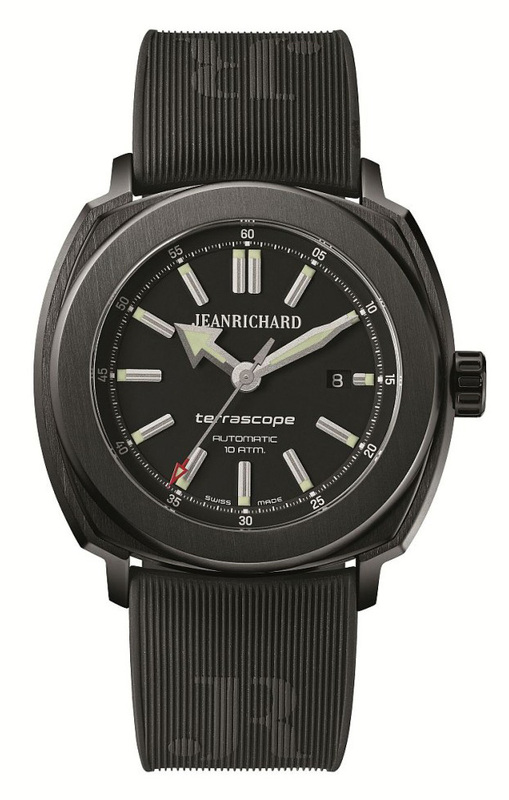 Other JeanRichard watches on show at Baselworld include the Terrascope Nocturnal Adventures which, as the name suggests, takes on a blacked-out look. This is more than just one watch, it’s a new series for the brand which are two new takes on their Terrascope models and another which harks back to the 1681 model, although there are no blue skies to be found on this version. There is instead a great deal of black going on. Black dials, black cases, black straps. The watches are stainless steel with both the case and bezel entirely treated with a black DLC coating, completed by a matt black dial with sandblasted rhodium treated hands and applied hour-markers. The watches share the same 44mm size and shape as other models in the Terrascope and 1681 lines. The difference with the 1681 version is that its features have a bead-blasted finish to give it more of a dulled matte look. The only relief from black on the entire watch is the gold flecked hands which certainly add a sharp contrast. It works beautifully against the dial, especially as the lights are off on the numerals and indices so the hands catch your attention straightaway.